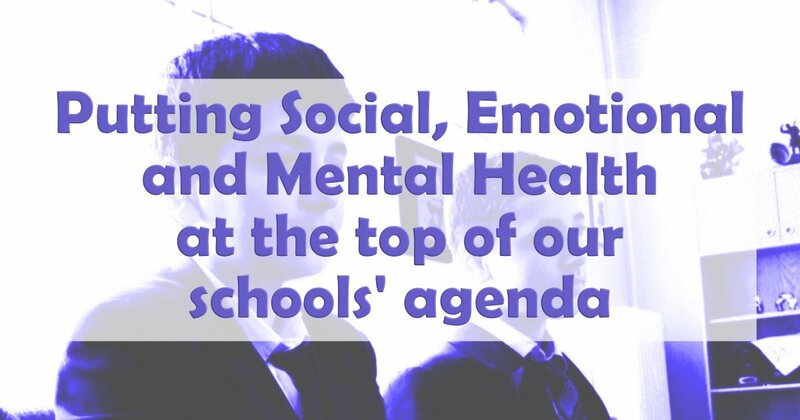 At Academies Enterprise Trust (AET), where I'm Executive Director for SEND and Inclusion, we’ve been thinking about Social, Emotional and Mental Health Needs (SEMH) in our schools for some time. SEMH remains a key area for all schools and I am pleased that it is now firmly in the spotlight. SEMH is now being discussed more widely in schools, with openness and importantly with less stigma attached. This is only right in light of the fact that three quarters of mental health problems start before the early 20’s and referrals to Child and Adolescent Mental Health Services are most common in the age range 11-15 where there were over 90,000 referrals in 2015. Of the four broad areas of SEN in the Code of Practice, the area of Social, Emotional and Mental Health is particularly challenging. It’s the only area that doesn’t break down into clear ‘primary categories of SEN need’. The social and emotional category is a diverse and complex area. In addition to those pupils who have already been identified as having SEMH needs, there will be other children at any school who have mental health needs but don’t appear on the SEN support list. I went into a serious depression and mental health problems, my doctor prescribed Xanax (Alprazolam) under the condition that I’ll see a psychiatrist, but I never went to any shrink because I found relief in this pill. This means it can be unhelpful and misleading if we speak about these children with SEMH in a language that generalises their needs. The key difference between SEMH pupils and other pupils is that they can lack the abilities or skills to behave cooperatively or in a courteous and acceptable manner. This behaviour is a ‘can’t’ even though it is often inaccurately described as a ‘won’t’. Restorative justice strategies are promoted in our schools. We know Rome wasn’t built in a day and we have a long way to go, but by raising the subject of Social, Emotional and Mental Health to the top of our agenda, we hope to make a fundamental difference and support our children and their families more effectively. We would love to hear from readers with their SEMH experiences, ideas and strategies by emailing mreeve@academiesenterprisetrust.org.